Phil Kresge - Pave Ahead. All rights reserved. 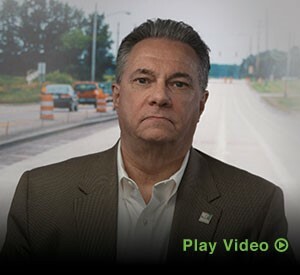 As part of NRMCA’s Local Paving Division, Phil works with state, regional and local promotion partners to help deliver concrete parking and street paving projects by supporting promotion, design and construction activities. He continues to work closely with the US EPA, GSA, Army Corps of Engineers and Naval Facilities Engineering Command (NAVFAC), as well as numerous commercial accounts and their consultants. Phil is well-versed in design and construction of conventional concrete pavement, pervious concrete, roller-compacted concrete and concrete overlays of existing asphalt pavement. Prior to his appointment with NRMCA, Phil served as Executive Director for the Pennsylvania Concrete Promotion Council (PCPC). He has twenty-eight years of experience in the Ready Mixed Concrete Industry.